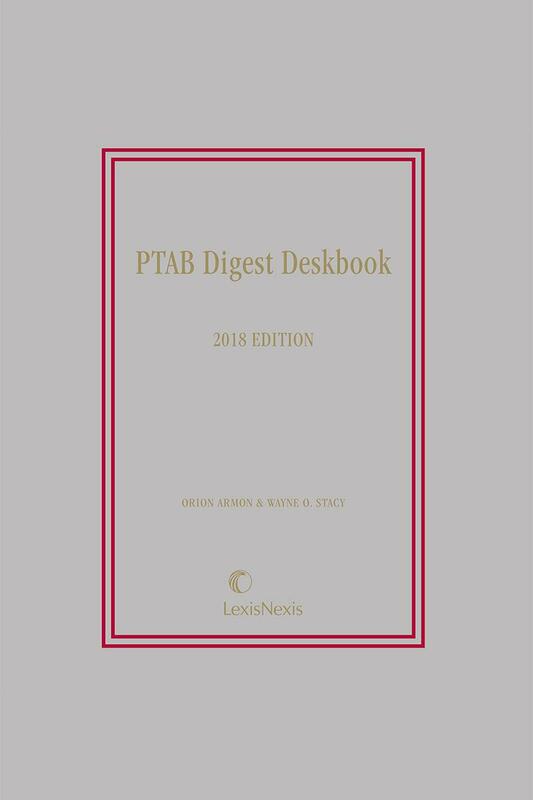 Designed to complement Patent Law Digest, this publication tracks the Patent Trial and Appeal Board's leading decisions regarding post-grant proceedings such as inter partes reviews, covered business method reviews, and more. 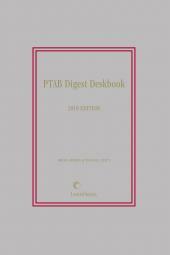 The PTAB Digest Deskbook covers the Patent Trial and Appeal Board's leading decisions regarding post-grant proceedings such as inter partes reviews, covered business method reviews, and more. 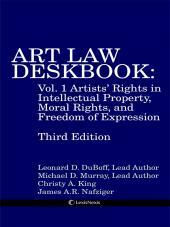 Anyone involved in PATENT law would find this book useful. • Analyzes thousands of decisions, and selected notable decisions for annotation. • Annotations are organized in a topical tree structure and stored in a Web-based database. • Utilizes a star ranking system to allow time for the attorney to focus on the important cases. 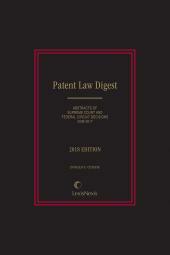 • Complements the Patent Law Digest. Orion Armon is a partner in Cooley LLP's Intellectual Property Litigation practice group. 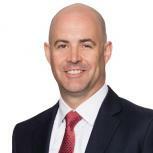 His practice focuses on patent litigation in U.S. district court, the Patent Trial and Appeal Board, and before the United States Court of Appeals for the Federal Circuit. Wayne Stacy is a partner in the Intellectual Property group at Baker Botts LLP. He specializes in competitor-against-competitor cases where injunctions and large damages are at issue. With a background in computer engineering, Mr. Stacy focuses on litigating electronics and software cases. Orion Armon is a partner in Cooley LLP's Intellectual Property Litigation practice group. 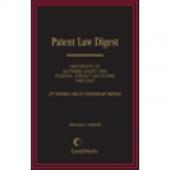 His practice focuses on patent litigation in U.S. district court, the Patent Trial and Appeal Board, and before the United States Court of Appeals for the Federal Circuit. Prior to attending law school, he was a systems implementation consultant at Accenture, where he specialized in Enterprise Resource Planning ("ERP") systems and eCommerce applications. He received his J.D. with Honors from The University of Texas School of Law and is a registered patent attorney with the United States Patent and Trademark Office. 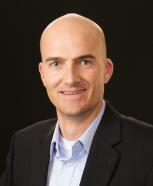 Wayne Stacy is a partner in the Intellectual Property group at Baker Botts LLP. He specializes in competitor-against-competitor cases where injunctions and large damages are at issue. With a background in computer engineering, Mr. Stacy focuses on litigating electronics and software cases. He received his B.S. in Computer Engineering from Southern Methodist University, and his J.D. with High Honors from George Washington University Law School. He was an adjunct professor at the University Of Colorado School Of Law and the University Of Denver School Of Law where he taught patent law and patent litigation classes for over a decade. Mr. Stacy is consistently ranked by Chambers USA and Intellectual Asset Manager (IAM) as one of the top patent litigators. § 4.01 Priority Claims -- "First to invent" vs "first inventor to file"
§ 22.07 Real Party In Interest -- Patent Aggregators / Member COS.